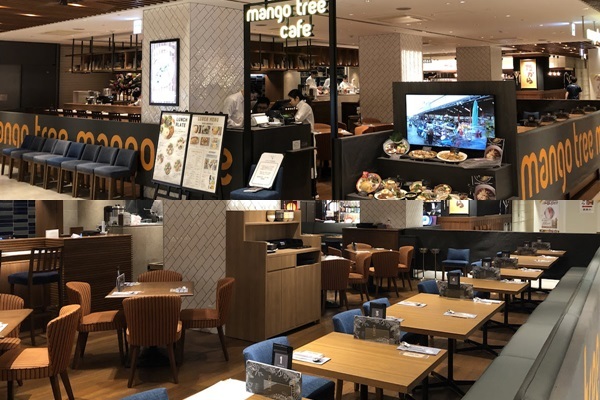 BANGKOK, THAILAND – Leading Asian restaurant operator, Mango Tree Worldwide, has continued to expand its footprint in Japan with the opening of a new Mango Tree Café in Fukuoka, the largest city on the island of Kyushu. Located on the seventh floor of Solaria Plaza, a major shopping mall in the bustling Tenjin area of the city, Mango Tree Café Fukuoka is a casual eatery that specialises in authentic Thai cuisine. 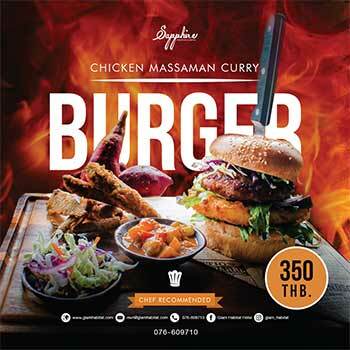 The new restaurant officially opened its doors on 7th March 2019, becoming the first Thai restaurant in Kyushu operated as a franchise with a Thailand-based company. “Japanese customers have a deep appreciation of Thai cuisine, so we are delighted to introduce the Mango Tree Café concept to diners in Fukuoka for the first time. A major port and the closest Japanese city to the Asian mainland, Fukuoka has always had an international outlook. Diners in this dynamic city can now enjoy exceptional Thai dishes in a relaxed café-style setting,” said Trevor MacKenzie, Mango Tree’s Global Managing Director. “Mango Tree’s aim is to be an ambassador of Thai cuisine in Fukuoka, and the whole of Kyushu Island. There are not many Thai restaurants in the region, so the launch of our first Mango Tree Café in downtown Fukuoka gives residents a unique opportunity to experience fresh and delicious dishes. In future, we will continue to build on the strength of our presence in Japan and introduce Mango Tree’s contemporary culinary concepts to every more parts of the country,” he added. Directly connected to the urban rail network at Nishitetsu Fukuoka (Tenjin) Station, Solaria Plaza is a popular shopping and lifestyle mall in the heart of downtown Fukuoka. The mall features six floors of fashion and three levels of F&B outlets. This makes it the perfect setting for Mango Tree Café, which has developed a successful strategy of locating in areas with high footfall, including major transport hubs and retail areas. Tenjin is also a popular culinary district, with many local restaurants catering to large numbers of diners, including shoppers, families, groups of friends and office workers. By opening a stylish new Thai café in this vibrant area, Mango Tree will provide an appealing alternative to Tenjin’s Japanese eateries. Mango Tree Café will offer an extensive selection of Thai dishes that many Japanese diners know and love, such as som tum (spicy papaya salad), tom yum goong (spicy and sour prawn soup), phad gapao(minced pork with Thai basil, rice and egg), gaeng kiew whan (Thai green curry) and phad Thai (stir-fried noodles with beansprouts). All menu items will be prepared to-order using fresh ingredients. Light, bright and inviting, Mango Tree Café Fukuoka will seat 64 diners with an open-plan layout and direct access to and from the shopping mall. Mango Tree Worldwide is now planning to expand its footprint throughout the southern part of Japan, which is considered one of the country’s culinary heartlands. Kyushu, for example, is a genuine foodie haven which is famous for its fresh seafood, including oysters. With the popularity of Thai cuisine now sweeping across Japan, this region of Japan provides an outstanding opportunity for pioneering growth in a relatively untapped area of the country. The opening of Mango Tree Café Fukuoka marks the company’s 26th location in Japan, and the 14th under the Mango Tree Café brand. The company is now on track to achieve its target of reaching 100 restaurant outlets worldwide by 2020.